“I actually think it’s a problem for us, and it’s something we’ve got to get on top of going into 2020,” said Betsy Hoover, co-founder of Higher Ground Labs, which fosters Democratic tech startups. Party organizations did wage groundbreaking digital ad programs this cycle. But while it may seem like only a matter of time before digital ads start dominating campaigns, digital strategists in both parties say enough barriers exist to keep that from happening anytime soon. By some estimates, the 2018 election cycle saw an exponential increase in digital campaign spending, especially in online advertising. Federal, state and local campaigns spent approximately $2.3 billion online, compared to just $35 million in the 2014 cycle, according to an analysis by the ad tracking firm Borrell Associates. But that figure was dwarfed by the $7.6 billion spent on broadcast and cable television. The party campaign committees focused on House and Senate races also placed a new emphasis on digital activities. For the first time, the Democratic Congressional Campaign Committee, which led the successful effort to flip the House, had digital strategists on each of its regional teams. It also launched an in-house digital ad agency for both its coordinated spending and its independent expenditure arm. And staffers monitored and drove social media conversations and generated original digital content. “It was an investment that paid off three or four hundred times,” DCCC executive director Dan Sena said. At the most recent count, House Democrats had picked up 40 seats, their highest for a midterm election since 1974. The Democratic Senatorial Campaign Committee advised campaigns to hire digital directors and make early investments online. Those efforts helped Democrats Jacky Rosen and Kyrsten Sinema target key Hispanic voters in their successful campaigns in Nevada and Arizona, respectively. The committee also partnered with MobilizeAmerica, a startup connecting campaigns with volunteers. Catherine Algeri, who’s led the DSCC’s digital team the last two cycles, sees emerging organizing tools such as MobilizeAmerica as the future of online campaigns. She also noted that digital strategy has reached a “maturation point” with digital staffers increasingly taking lead roles. The DSCC also encouraged campaigns to create content specific to digital platforms, instead of just cutting down a television ad and posting it online. The two GOP campaign committees, the National Republican Congressional Committee and the National Republican Senatorial Committee, did not respond to requests for comment. Facebook listed the NRCC among its top advertisers, with nearly $2.6 million spent. Outside groups involved in House and Senate races also stepped up their online efforts with new initiatives. The Democratic super PAC Priorities USA launched its first midterm effort with a $50 million campaign focused exclusively online. The 50-plus-person digital team developed original content and tracked analytics in key races. The group also teamed up with House Majority PAC, which supports House Democrats, for a $15 million online effort. Republicans have historically dominated when it comes to digital spending, and 2018 was no exception — a Priorities USA analysis found that outside GOP groups still spent more than Democrats this cycle, $115 million to $86 million. But Danielle Butterfield, the group’s director of advertising, said Democrats were closing the gap. Both major Republican outside groups involved in congressional races spent big online this cycle. The Senate Leadership Fund spent roughly $22 million, and ensured that each new ad campaign had a digital component as well as one for television and radio. The Congressional Leadership Fund spent 20 percent of its budget online. While the partisan digital divide remains a concern for Democrats, the party was able to capitalize on what’s known as acquisition advertising, or ads that implore the viewer to take an action, such as signing up to volunteer or making a campaign donation. Small-dollar online donations fueled most of the Democrats’ record-setting fundraising numbers. Michael Duncan, a GOP digital consultant who worked for SLF and CLF, saw the Democratic fundraising boom as a product of the political environment rather than a technological problem. “When you’re the party out of power, it’s easier to mobilize that base to give,” he said, adding that Republicans needed a cultural shift to allow for more fundraising cooperation. Even with the increased online activity, strategists on both sides say campaigns are still slow to adopt digital-focused strategies. That’s in part because the rules governing digital ad spending are murky. The Federal Election Commission most recently held information sessions over the summer on campaign disclaimers on digital ads, but has yet to move forward on any rule-making. Facebook, Google and other platforms, as well as individual states, have developed their own rules for disclaimers. The regulatory patchwork presents a challenge for ad makers working to comply with different rules and creates even more uncertainty as new platforms emerge. 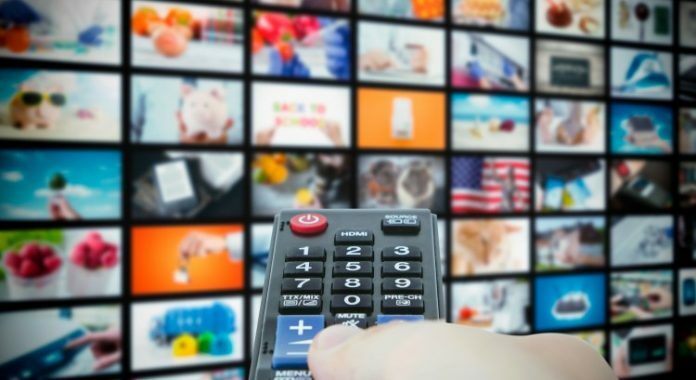 A handful of strategists said services that allow viewers to watch digital programs on a television, such as Roku and Amazon Fire, could be the next frontier for political campaign ads, but the legal ramifications are still unclear. And despite the new tracking tools from Google and Facebook, online spending is still difficult to gauge. Outside groups have more leeway about whether to disclose online spending and a lot of it “is almost impossible to really track,” said Mike Franz of the Wesleyan Media Project, which studies campaign ads. Some digital operatives also point to a cultural resistance to shifting to a more digital-focused strategy. Veteran consultants could be more reluctant to spend limited campaign funds on new technology. Some strategists also noted that those consultants’ compensation is tied to ad buys, incentivizing them to encourage spending on the more expensive TV airwaves.